Hit a school of yellowtails this time, too bad I wasn't prepared for them. Lost several bigger ones that managed to straighten my tiny hooks. Hopefully they'll be still there when I return, I'll prepare some quality rigs. i see that "hae beo" must have done the trick uh? chanjwm wrote: i see that "hae beo" must have done the trick uh? Yes it does. When they're in a frenzy, feathered hooks works too. I just deep fry them, they taste real nice! yellow tail, ... there is a old man selling some homemade apollo rig using feather hook, according to him it work very well on yellowtail. Streetmonkey wrote: yellow tail, ... there is a old man selling some homemade apollo rig using feather hook, according to him it work very well on yellowtail. Feathered hooks really does work, sometimes I get lazy and use it when they're willing to take it. But you'll find that it loses its magic short after. From my experience, nothing beats Hae Beoh when it comes to catching yellowtails. Too bad they're all gone by now. Peace,where did you catch these fishes you posted on? Looks interesting. You can find these small shrimps from wet markets, you can try teban garden or jurong west wet market if you're staying near west area. stout infantfish wrote: Peace,where did you catch these fishes you posted on? Looks interesting. Sorry, I can't disclose the location. 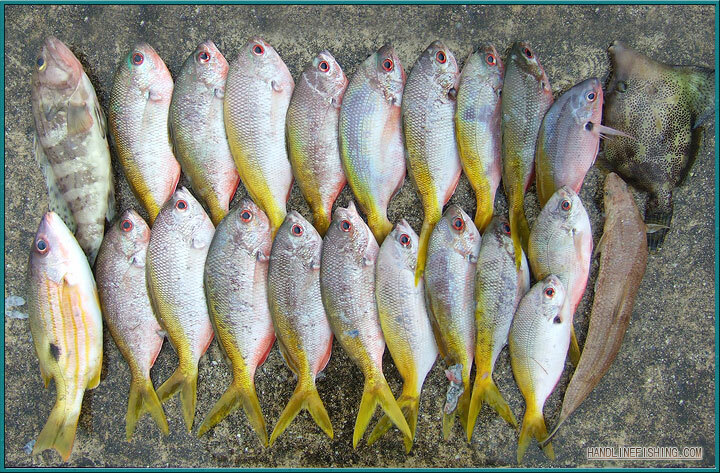 If you're interested to catch yellowtails, you can try St John's, Kusu and Sisters' Island. does it come fresh or dried? Wah so many yellow tails ... yum yumz ! I bought two from the market this morning ... $2 each ! $4 for all ... we friend friend mah hor ? I raise you another 4 dollars to make you fish under the hot sun with me for the yellowtails. Friend friend mah hor?